We believe that leaders in any type of organisation need to understand where they are leading the organisation, what culture they need to have to optimise the organisation’s effectiveness and which leaders fit and what can be done to develop them to their full potential. At Cumberland all our people and Associates are Certified Management Consultants accredited by the International Council Management Consulting Institutes, Registered Business Psychologists or Human Resource professionals with significant experience. Jon Bilson is a proven organisational development professional and experienced senior manager with management consulting experience across a wide range of industry sectors. With a background in Senior Management (as a State and Regional Manager), Business/ Corporate Strategy and Organisational Development, Jon has worked as a Management Consultant for over 20 years. Drawing on his roles and experience as a strategist, corporate psychologist, change management practitioner and business consultant, Jon has assisted clients over 20 years to effect long term cultural change and business improvement through developing their people, projects, commercial awareness and opportunities for innovation within their organisations. Jon is a Registered Psychologist and began his career with KPMG both in Perth and then Adelaide. This was followed by opportunities in commercialisation and several State Manager roles for internationally recognised professional services firms. 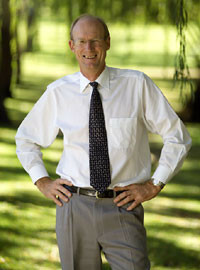 Jon currently sits on a number of Boards and is involved with YMCA WA, Dismantle and Rotary International. Based in Perth he continues to work extensively in ‘people based consulting’ including corporate research, strategy development, change management, organisational reviews, development and design and assisting individuals and teams to manage the effects of significant change within their workplace. This work has involved considerable consultation with Boards, Chief Executives and Senior Management in industries including Government (State and Commonwealth), Banking and Finance, Mining and Energy, Manufacturing, Retail, Legal, Engineering, Transport, Education, Health and Information Technology. Organisational and Team reviews & audits. Change management design and implementation at organisational, divisional/team and individual level. Leadership, individual and cultural assessment and development. Use of psychometric, 360 degree feedback and survey tools. 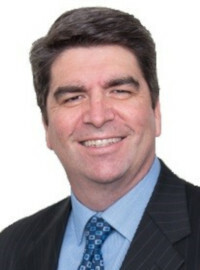 Jim established Cumberland Consulting Group in 1990 to provide advanced human resources strategies specifically tailored to an organisation. During his 25 years as a management consultant, Jim has assisted a wide and diverse range of organisations to more successfully implement strategic plans, map and strenghten corporate culture and develop leaders. He began his career with Wesfarmers then moved into management consulting in Perth before experience with PA Consulting in Melbourne, UK and Singapore and finally four years as Regional Manager in Perth. Jim has achieved exceptional results with executives and Boards of Directors in leading them to more effectively articulate and achieve their organisations’ goals. He focuses upon business planning, facilitation of senior management forums, performance improvement and leadership development. He is a fellow of Institute of Company Directors, a Fellow of Institute of Management Consultants, an internationally Certified Management Consultant (CMC), Past Chairman of TZ Minerals International an international mining research and publications company, Chairman of Galvin Engineering (www.galvinengineering.com.au), Non Executive Director HHG Legal Group (www.hhg.com.au) and past Non Executive Director of Constable Care Child Safety Foundation (www.constablecare.org.au). His academic qualifications and professional achievements include: Bachelor of Business and Master of Business from Curtin University, Certified Management Consultant, and Fellow of the Institute of Management Consultants and Fellow of the Australian Institute of Company Directors. © 2019 Cumberland Consulting Group. All Rights Reserved.